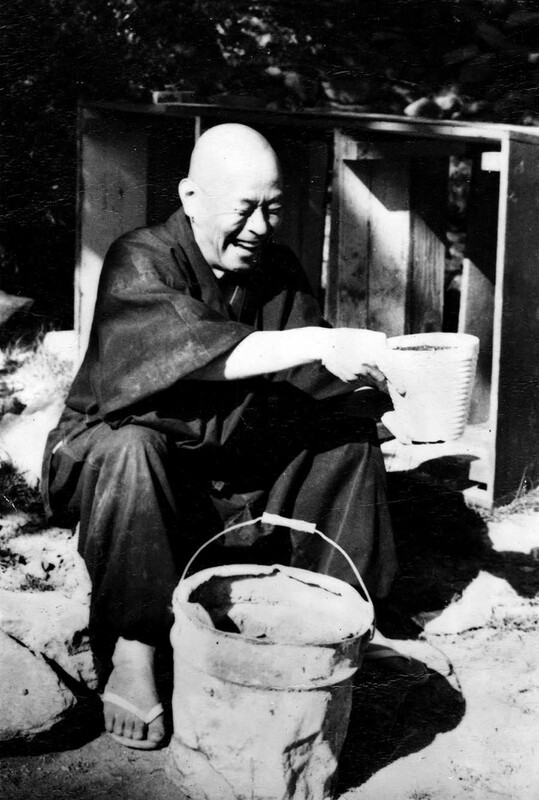 The venerable Shunryu Suzuki Roshi, founder and abbot of Zen Center, San Francisco and Tassajara, Carmel Valley, California, died on December 4, 1971. He taught on the West Coast of the United States for eleven years. Personal contact with him, and exposure to his written works, inspired thousands of people to a living experience of Buddhism. The style of his teaching was direct, thorough, and without ambition. His way of working with students transcended cultural barriers, as well as any others, reflecting his real being. Roshi’s style shines through as part of the living lineage of Dogen-Zenji; it is direct experience of living Zen. His quality of not dwelling on any particular trip provides an extraordinary situation in contrast to the militancy of American Zen. At Tassajara in June, 1970, I first met Roshi, an old man with a piercing look, who quite ignored the usual Japanese diplomacy. All his gestures and communications were naked and to the point, as though you were dealing with the burning tip of an incense stick. At the same time, this was by no means irritating, for whatever happened around the situation was quite accommodating. He was very earthy, so much so that it aroused nostalgia for the past when I was in Tibet working with my teacher. Roshi was my accidental father, presented as a surprise from America, the land of confusion. It was amazing that such a compassionate person existed in the midst of so much aggression and passion. On my second visit, he blessed my child. The ceremony was short but thought-provoking. There was a sense of care and accuracy, a sense that energy was actually being transferred. We had a talk together over tea in the courtyard garden of Zen Center. Roshi spoke about the fact that Americans name only their biggest mountains, unlike the Japanese, who name them all. American Buddhists are too concerned with pure form rather than with spirit, an insensitivity which comes from being drunk on their power as conquerors. They can’t be bothered to name the smaller mountains and the details. At my last meeting with Suzuki Roshi when he was sick in bed, he expressed tremendous delight at the situation that Buddhism in America could be a fundamentally creative process. His death was a happy one, for he was satisfied with the practice of his students, and he felt that they had really been exposed to the teachings. Shunryu Suzuki Roshi is a rare teacher in American Buddhism. Recalling the Buddha, dharma, and sangha is the traditional way in which people are inspired to work towards buddhadharma. Roshi’s way of relating, as an example of complete commitment to other beings, is the same kind of inspiration. His openness and conviction cannot be questioned. His example as someone walking the path of the tathagatas is very solid ground for others. He was a person who dared to utter the lion’s roar of Buddha. His positive vision of American Buddhism is one of the most powerful and creative messages that the American spiritual scene has heard. This essay, which was composed on the occasion of Suzuki Roshi’s death, was originally published in Garuda by Tail of the Tiger and Karma Dzong communities, Spring 1972.